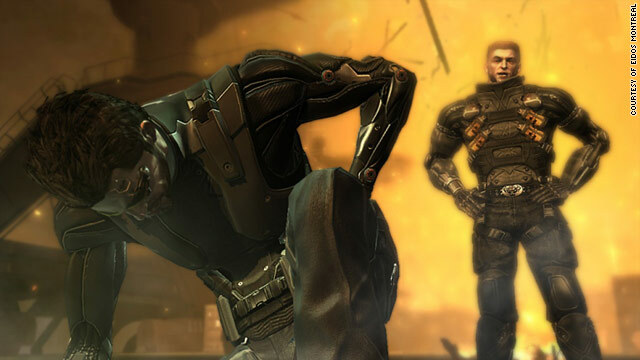 Interactive fictions like "Deus Ex: Human Revolution" rival other forms of narrative entertainment in their sophistication. (CNN) -- As a recent resurgence in video game storytelling, buoyed by increasingly literate titles like "Deus Ex: Human Revolution" and "BioShock: Infinite" illustrates, interactive fiction is closing in on other forms of narrative entertainment. The problem, as experts like Ultima creator Richard Garriott and Infocom veteran Steve Meretzky explain in a recent documentary, is that gaming is a relatively young field. Game makers still haven't mastered their craft the way artists, playwrights and filmmakers have. When compared to more time-honored forms of storytelling, video game creators are just beginning to come to grips with the massive range of toys available in today's high-tech toolbox. But after taking a backseat to 3-D graphics and white-knuckle action around the CD-ROM's heyday in the mid-'90s, scriptwriting and dialogue are suddenly becoming killer gaming apps once again. Witness recent nail-biting episodic game adventures, the resurfacing of Fighting Fantasy gamebooks for smartphones and eReaders, or fundraisers fueling all-new interactive fiction titles. For this we can credit numerous factors, both sociological and practical alike. Modern consoles' longer lifespan, increasingly mature audiences and stabilizing production budgets are forcing developers to look beyond jaw-dropping graphics and sprawling 3-D worlds to drive fans' enthusiasm. Combine that with the rise of touchscreen devices like the iPhone and tablet PCs (seemingly tailor-made for classic point-and-click adventures), plus indie studios' need to find cost-effective ways to compete, and you have an unexpected renaissance in virtual storytelling. Most importantly though, is this: With well over three decades of experience now behind them, entire generations of gaming fans and designers tastes' are quickly maturing. Thanks in part to a raft of new technologies and trends (social games, mobile games, user-generated content, etc.) that facilitate new storytelling methods, game makers are just starting to fully explore the medium's potential. Need further proof? The Writer's Guild of America is now doling out awards for game writing, and original video shows are being built around top video game franchises. Major publishers such as THQ and Electronic Arts are embracing the principles of transmedia, or telling stories across multiple platforms and formats. At the same time, offbeat titles like "Strange Rain" and "Limbo" are increasingly pushing the boundaries of gaming vernacular. The old industry maxim that "adventure games are dead" is quickly being proven both ill-informed and archaic. Whether the future of game storytelling strongly resembles the past, as it does in "Gabriel Knight" creator Jane Jensen's new, long-awaited supernatural tale "Gray Matter," remains open for debate. And critics are torn as to whether tomorrow's titles need denser dialogue or less verbose scripts, fancier or more threadbare set pieces, and more fixed direction or greater freedom of choice. Happily, perhaps the answer is all of the above. Let's hope tomorrow's visionaries etch new chapters into the annals of gaming history by offering creative new ways to rewrite the script.